Freeze Frame is not grabbing the last image of a video file. I'm seeing this glitch since the 7.2 or 7.3 update. I use Freeze Frames throughout virtually all my projects, so I'm very familiar with how it normally works. However, lately, when I attempt to add a Freeze Frame (Edit menu, ⌘-Shift-F) , SF doesn't add the last image of a highlighted video (which is we want it to do), even though it's the highlighted part, and the red scrubber is right there at the end of that highlighted section. Instead, it adds an image from a few seconds later in that video file. I've tried all sorts of tricks, including taking the Freeze Frame from further back along the video, detaching the audio track. I haven't found anything that works. The video files are generally M4V files, if that helps. I could add a 10-second sample video of what I'm seeing, if that helps. It's possible the GOP structure results in it grabbing the wrong frame. Please do post an example and possibly link to the source file as well so we can test. thanks for checking it out. I've emailed you a link to the zipped file (about 240M). 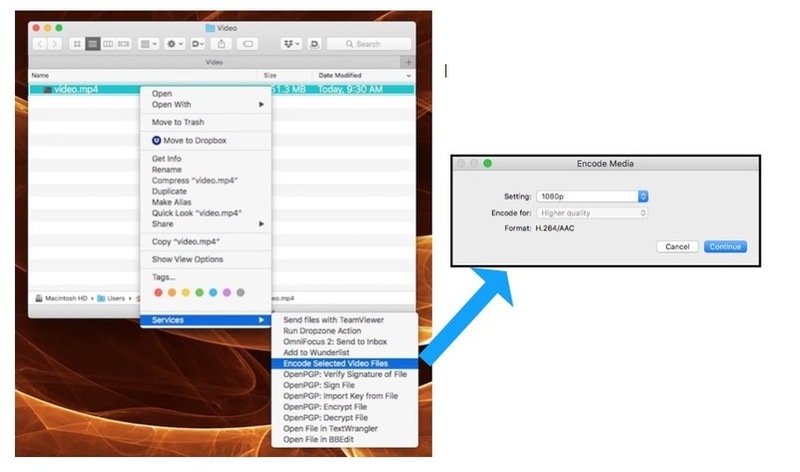 Craig, if it helps: most of these problem video files come from exported videos (.m4v) from Keynote presentations (using their built-in Export function). I have seen this if I change the speed of a clip. Scott If you email file you'd have to create a case number first. Posting a link to the forum would work otherwise. You can try converting the file to Apple ProRes to see if it works correctly. That may confirm that it's the GOP structure (ProRes is all I-Frame). Michael Glasser OMG. That's it! Holy hell. I've been dealing with this issue for months, and sure enough, I just went through a few projects and every single one of the problematic clips had been speeded up with the rabbit icon (I change the speed of audio and videos a lot). Thank you SO much for mentioning this. Please do report it noting m4v and speed change related. It may be the change in GOP. Check to make sure it doesn't happen with ProRes or screen recordings as well. Michael Glasser Thanks. It can help us determine the cause. I have the same issue when I speed up a clip or if I forgot and I'm trying to freeze an already frozen clip. The first issue I solved by putting it at normal speed, creating the freeze and then re-speed up the clip. Kenny Gioia Do fill out the form and report the issue as well. Include your workaround. Kenny Gioia exactly my workaround, too. Make sure each of you have reported the issue. It'll let the developers know how you're using ScreenFlow as they consider frequently used workflows. Esther Jane Mitchell Since it was imported video the type of file might be a factor. Please confirm you're on ScreenFlow 7.3.1 and explain the source file and whether you had and speed changes applied to it. Yes I just updated to ScreenFlow 7. The imported video is a .m4v and yes I added a speed effect to it. Hi Esther. In my deep experience with this, the inability to add the correct Freeze Frame came from having a speed effect to the clip. Also, I know convert all .m4v files to .mov files (through the ancient but still useful QuickPlay app), because that vastly speeds up editing process, and removes almost 100% of the spinning balls I was getting. I think others have also bumped into this specifically when adding a speed effect. Can you try adding the freeze frame first and then doing the speed effect? Scott You can convert files using Finder now. For the best performance (but largest file) you can convert to Apple ProRes. Well, well... you learn something new every day! Thanks Craig, as always. For others new to this: the .mov file will appear immediately, but it'll be zero bytes for awhile. The encoding takes a few minutes to complete, and it all happens invisibly in the background. Also, the .mov files often are 4-5x larger than the original, but that rarely matters when it comes to speeding up editing. Scott Oftentimes the bigger file is due to more keyframes (and higher bit rate) which makes for a better playback experience. Nice that Apple built this into the OS (even Quicktime Player not needed) since it can solve a lot of file usability issues short term. CraigS Thanks so much for your help! I will have that in mind for next time, since I found a way to solve the problem for this project. I´m so happy to find helpful people in this forum! Nice to know that help is to be found, when needed! Have a super nice time! Esther Jane Mitchell You're welcome of course.